I am trying to bulk insert records in Sybase using C#. 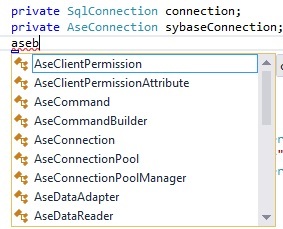 I have included Sybase.Data.AseClient.dll in my solution and able to create connection. But problem is there is no AseBulkCopy command available as shown in screenshot below. What could be the reason?